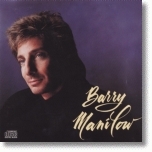 Take The Manilow Challenge! - Play this record alongside any current album by any contemporary pop artist of today and see if, song by song, this one doesn't become your favorite album in years! My personal thank you to the producers, arrangers, songwriters and engineers who worked so hard on this project. Thanks also to Eric Borenstein and Roy Lott for keeping us all together. Special thanks to my personal manager, Garry Kief, for his devotion and his brilliance. Clive Davis is a wonder. Words cannot express my gratitude for his unwavering belief in me and for his contribution to my music career. "The One That Got Away", 1988 Colgems-EMI Music, Inc. (ASCAP); Produced and Arranged by Hammer and Slater; Engineered by Dennis MacKay; Assistant Engineer - Squeak Stone; 2nd Assistant Engineer - Sam Gladstein; Mixed by Mick Guzauski; Assistant Mix Engineer - Richard McKernan; Recorded at Image Recording (Hollywood); Mixed at Conway (Hollywood); Keyboards - Jeff Slater; Drum and Synthesizer Programming - Hammer and Slater; Fairlight - Todd Herreman; F-16 Programming - Ben Forat; Bass - Jeff Slater; Drums - Vinnie Colaiuta; Saxophone - Dana Robbins; Background Vocals - Hammer and Slater; Hammer and Slater thank Gerd Muller, Ross Schwartz, Doug Mark, Clive Davis, John Van Ness, Harry Maslin, Eddie Arkin, Eric Borenstein, Garry Kief, Marc Hulett and all at Stiletto. "Some Good Things Never Last", 1988 SBK April Music, Inc. (ASCAP); Produced by Ric Wake for Wake Productions; Arranged by Rich Tancredi and Ric Wake; Recording and Mix Engineer - Bob Cadway; Assistant Engineers - Thomas R. Yezzi & Rob Caprio; Recorded and Mixed at Cove City Sound (Long Island, New York), Marathon Recording (New York), Shakedown Sound (New York), Ground Control (Los Angeles); Production Coordinator - David Barratt; Keyboards - Rich Tancredi; Drums - Joe Franco; Saxophone - Dana Robbins; Ric Wake thanks Clive Davis and all the Arista family ("Glad to be part of a winning team"), Eric Borenstein, Marc Hulett and all at Stiletto ("Cheers...Stay sharp"), but most of all to Barry ("Thank you for your openness, your honesty and your friendship. God bless you and keep you safe"). "Anyone Can Do The Heartbreak", 1986 Snow Music (BMI), Tasteful Music (BMI); Produced and Arranged by Michael Lloyd for Mike Curb Productions; Engineered and Mixed by Carmine Rubino, Dan Nebenzal and Michael Lloyd; Assisted by John Valentino; Mixed at Can-Am Recorders (Tarzana, CA); Assited by Jeffrey Poe; Recording Musical Instruments - Don Griffin/West L.A. Music; Production Coordinator - Debbie Lytton; Piano - Jim Cox; Synthesizers - Michael Lloyd and Claude Gaudette; Guitars - Dean Parks; Bass - Dennis Belfield; Percussion - Michael Fisher; Drums - Paul Leim; Background Vocals - Jim Haas, Joe Chemay and Joe Pizzula; Michael Lloyd thanks Clive Davis, Garry Kief, Eric Borenstein, Marc Hulett, Jimmy Ienner, Patty (the Beach Girl), our friends and families for all their support, and the Lord who helps us all. "A Little Travelling Music, Please", 1988 Townsway Music (BMI), Appoggiatura Music (BMI), Camp Songs Music (BMI); Produced and Arranged by Barry Manilow and Eddie Arkin; Dvorak's Symphony #9 Introduction Arranged by Eddie Arkin; Engineered and Mixed by Steve Krause at The Complex (Los Angeles), Somis Recording (Somis, CA); Keyboards and Synthesizer Programming - Eddie Arkin; Piano - Kevin Bassinson; Guitar - Russ Freeman; Drums - Vinnie Colaiuta; Eddie Arkin thanks all the Musicians, Engineers and Songwriters for adding their personal styles with an elegance that always goes far beyond the written notes. To Pat for her love and most of all to Barry Manilow for all the creativity and enthusiasm he brings to everything we do together.